You probably already know how important pet insurance is but if you don’t you can take our word for it. We’ve had PetPlan pet insurance for Daisy since we adopted her 6 years ago and it’s really taken the burden off of dealing with unforeseen medical expenses. As pet parents it’s normal worry and stress whenever our fur kids get sick or injured but no one needs to add to that with worries about how or if you’ll be able to afford the care they need! If you’re in the process of adopting a new pet, or have been putting off researching pet insurance plans, now is the time to get it done. 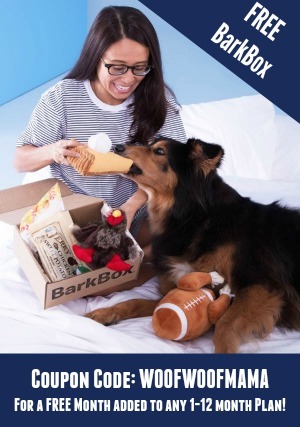 PetPlan is giving a free $25 Amazon gift card with a new pet insurance policy ordered online HERE. Their website is super easy to use and lets you price out every scenario for amount of deductible, annual coverage limits, so you find the policy that fits your budget and your pet’s needs. 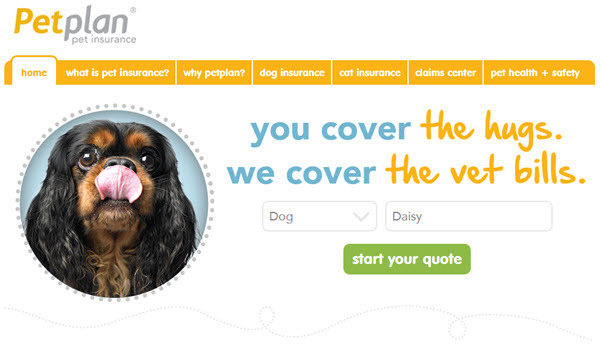 It also explains all the terminology, fine print and other coverage info you need to know when buying pet insurance. 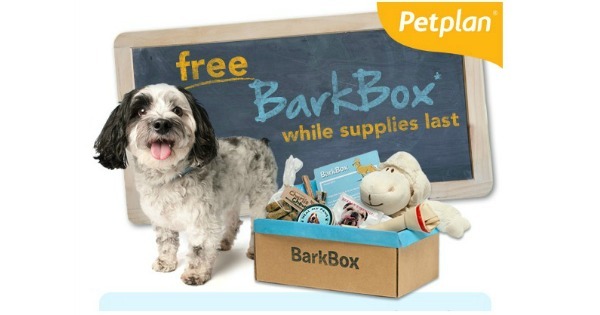 Be sure to use PetPlan Promo Code AMAZONGC at checkout to get your free Amazon gift card. 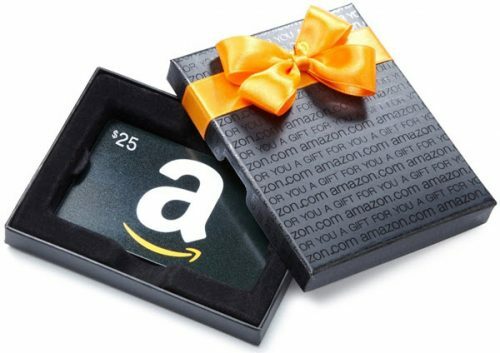 Use PetPlan Coupon Code AMAZONGC and Get a Free $25 Amazon Gift Card When You Purchase Your Petplan Policy Today! 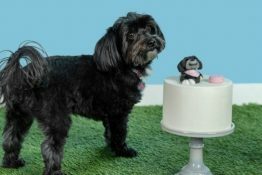 For help choosing pet insurance, read: 8 Things You Need To Know When Shopping for Pet Insurance. If you’ve been thinking about getting pet insurance, you really shouldn’t put it off. 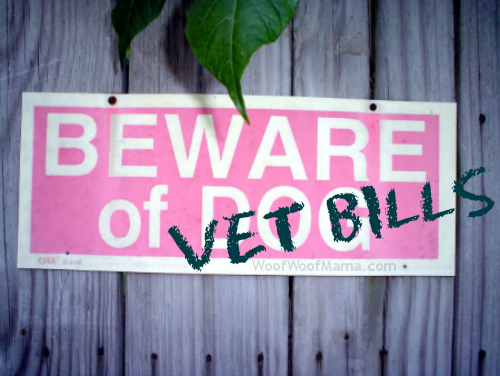 It’s one of those things you need to have in place BEFORE your pet gets injured or sick, since pre-existing conditions are excluded. We’ve had PetPlan pet insurance for Daisy for 6 years now and I highly recommend it. Filing claims is super fast, using their app for iPhone or Android and we receive reimbursement checks within a week or so of submitting receipts. This makes it super easy and stress free, which is important when you are a pet parent dealing with a sick puppy. The less hassles the better! 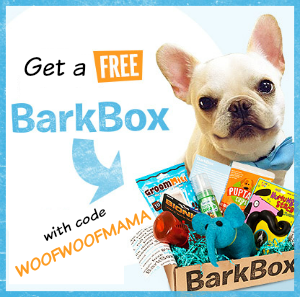 Right now, PetPlan has a special deal and you’ll get a FREE BarkBox when you signup and use PetPlan Promo Code BARKBOX to complete your online enrollment. Heat-related conditions like heat stroke, dehydration and heat rash – especially in brachycephalic breeds like Boxers, Bulldogs and Pugs. Pets are twice as likely to suffer an insect sting during the summer compared to the rest of the year. Bees are to blame for 25% of these incidents. The risk of skin infection is 16% higher during summer months. Vet visits for grape and raisin toxicity are 40% higher during the summer. The average cost to treat grape and raisin poisoning is $756, but one Petplan-protected pup faced a hair-raising vet bill of $3,035! Corn cob ingestions are seven times more likely in the summer. To find out more about choosing pet insurance, read: 8 Things You Need To Know When Shopping for Pet Insurance. Just like the humans in the family, our fur kids can get sick and need to see a doctor. We all want the very best for our pets, but the expensive costs of some conditions and treatments can lead to making difficult choices or decisions about their care. It’s upsetting enough when a furry family member is sick or injured, and the last thing you need to worry about is how you are going to pay for it. 1. Is it free to enroll? Legitimate pet insurance companies do NOT charge an enrollment fee. Some may require you pay the first month or quarter upfront, but that payment will be applied directly to the cost of your policy. 2. Who is the insurance company’s underwriter and what is their rating? As with health insurance for humans or even car and home insurance, you want to know about the financial health and credit rating of the company you are choosing to be sure they can afford to pay out the benefits promised if and when you need them. You can research insurance ratings online through A.M. Best Company or similar organizations. 3. Are prescription medications covered? Coverage can vary by policy so be sure to verify. Some pet insurance plans only cover medication while others also include coverage for prescription pet food. 4. Can you choose your own deductible level? While some pet parents like knowing that everything will be covered if they ever need it, plans with zero or very low deductibles are more pricey. Having a high-deductible plan for emergencies can be less expensive but still offer protection against unexpected expenses. It’s best to find a balance between the two that you are comfortable with so look for a plan that offers different options. 5. How does the plan define “pre-existing conditions” and what coverage is included/excluded if your pet has one? This is one of those things that can be tricky, so do your homework. If your pet has been treated for an illness or condition in the past, you’ll need to do some research to see how future coverage is affected. And speaking of our favorite gal pal and tv spokesperson…I have a special giveaway for YOU: a chance to win a very cool swag pack from Team Flo and Progressive! This prize pack has all kinds of fun swag including the same uniform worn by Flo herself – with name tag and everything! Whether you use it as your Halloween Costume, or wear the apron when you cook, it’s a super fun prize. There’s even Flo mints and a magnetic memo board for the fridge! Daisy and I were invited to join the Snapshot Test Drive Program for 30 days, to see how much we could save on car insurance from Progressive! To clarify, I’ll be doing the driving, and Daisy will be my back-seat companion. I swear that girl enjoys the journey as much as the destination – a great reminder for all of us! Our kit with the Snapshot Device and instructions on how and where to plug it in just arrived so we are now officially part of Team Flo! (Who knew there was a data port under my steering wheel!?!) I’m guessing that most of you are big fans of Flo just like we are…No one does commercials like our gal pal! 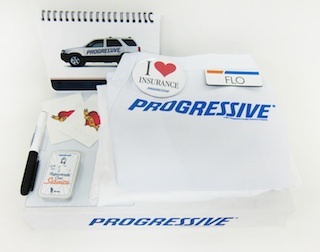 We’ll be checking back in to give you an update on how our test drive goes, and to bring you the chance to win some cool swag from Flo and Progressive, so stay tuned! Drivers currently enrolled in the program on average save $150 per year, so we can’t wait to see how we do! 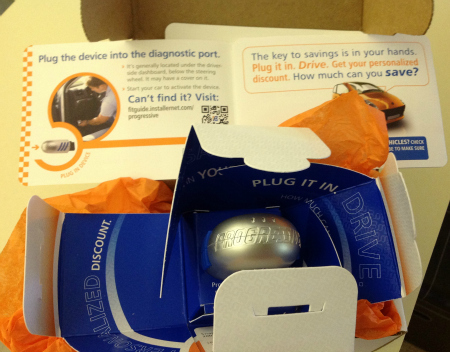 In the mean time, just wanted to let you know that anyone can take Snapshot on a 30-day FREE Test Drive! You don’t even have to switch insurance! At the end of the 30 day free program, you get a quote and can save up to 30% based on your own driving data. 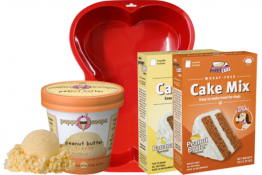 Content and/or other value provided by our partner, Progressive.